Another day, another festival. 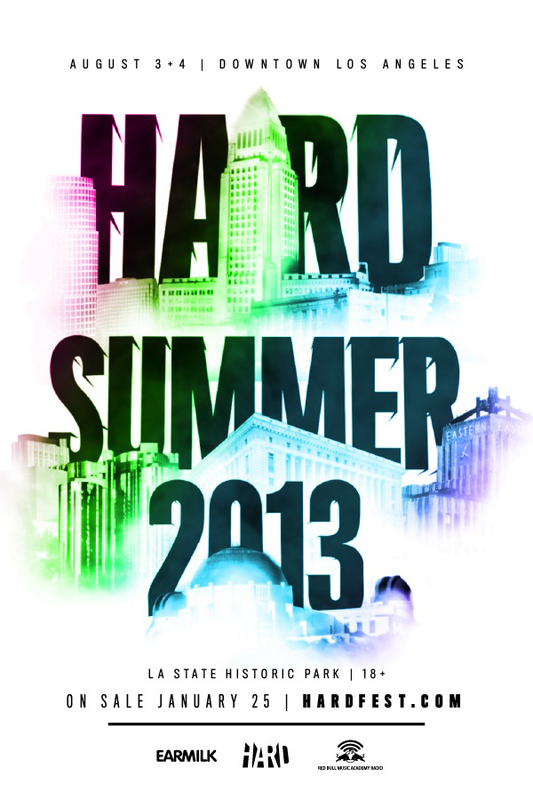 Today, EARMILK has the pleasure of announcing both a ticket giveaway and early bird presale tickets going live for HARD Summer. Returning for another go-round at Los Angeles State Historic Park for August 3rd and 4th, HARD is looking to continue the success they've enjoyed since expanding to a 2-day format last year. While an official lineup has yet to be released, we are graced with a "minute" teaser video that depicts the energy, and insanity, that can be felt at HARD Summer. So make sure to head over to Earmilk Events to enter to win tickets, and more importantly, make sure to cop your early bird tickets while the prices are low. Early bird pre-sale tickets go on sale on January 25th, at 10 A.M. PST.